↑ William Lee Adams (June 22, 2011). 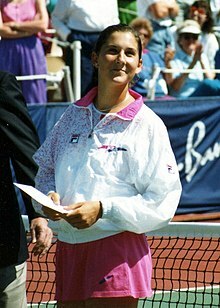 "30 Legends of Women's Tennis: Past, Present and Future – Monica Seles". TIME. Retrieved August 19, 2011. ↑ "Grossly Abbreviated". Canadian Online Explorer. 2007-07-01. Retrieved 2008-06-15.